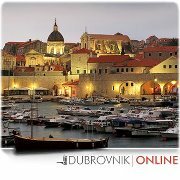 My wife and I will be arriving in Dubrovnik on 11 May at 18.40. Will it be possible to get a bus to Medjugorje at this time? If so, how much would it cost. Current timetable for 2012. The bus from Dubrovnik to Međugorje departs Dubrovnik at 17,15 every day. Note that during high season, if possible, it might be good to arrive early in Dubrovnik and purchase the ticket at the Main Bus Station.